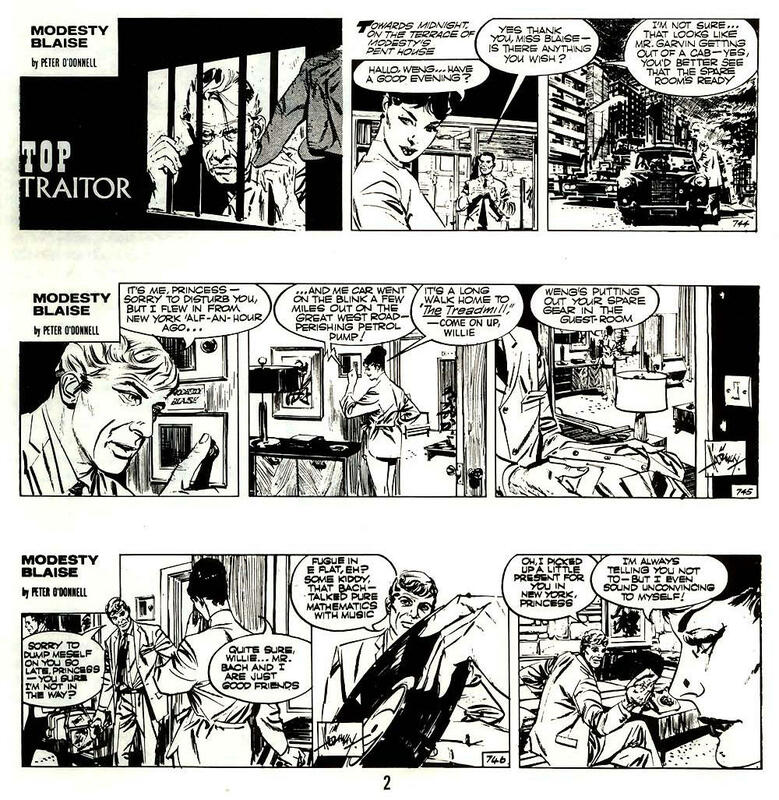 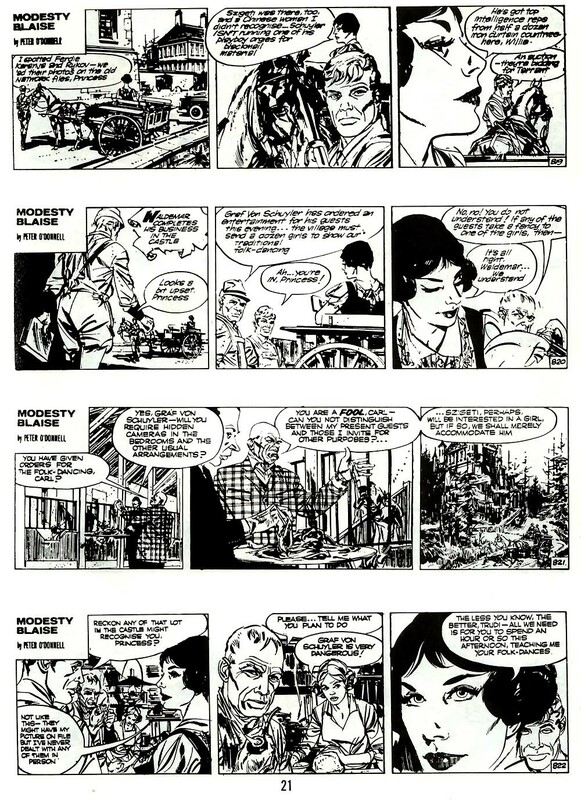 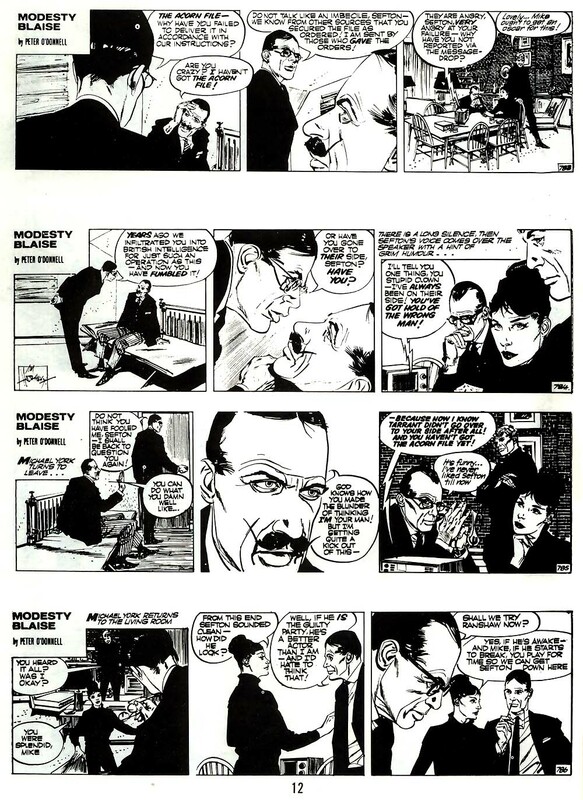 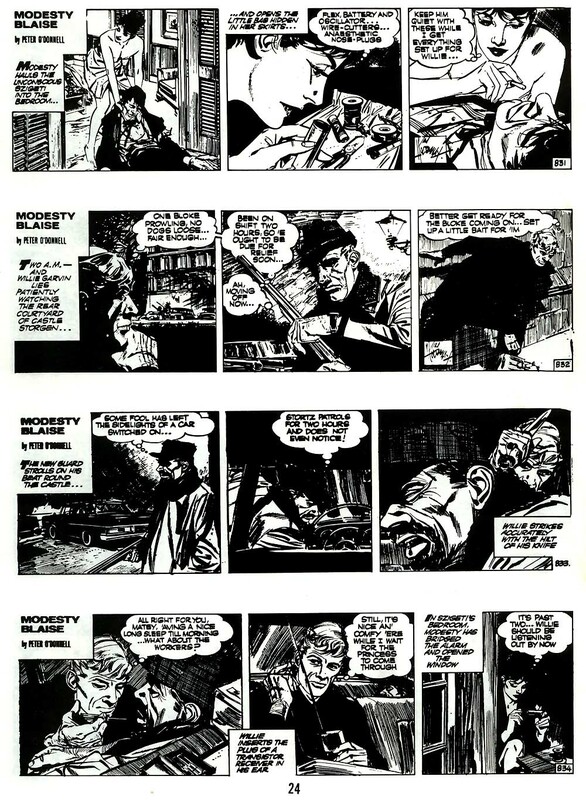 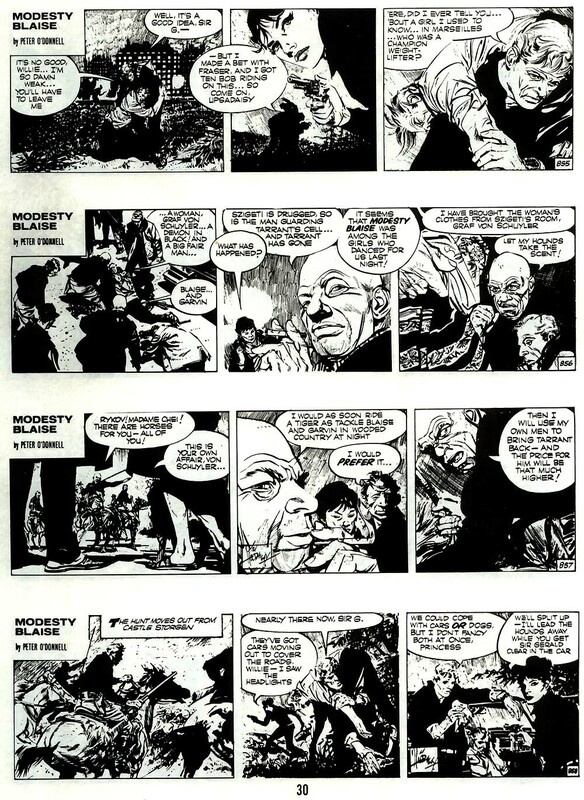 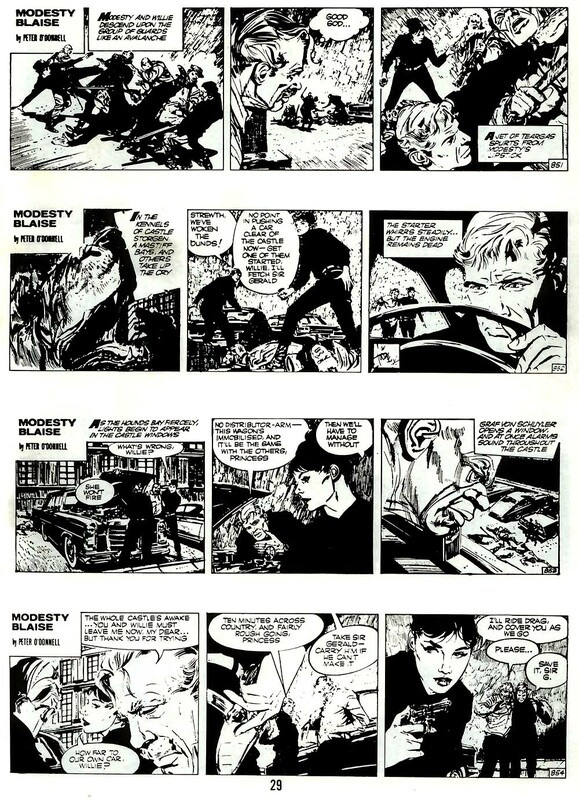 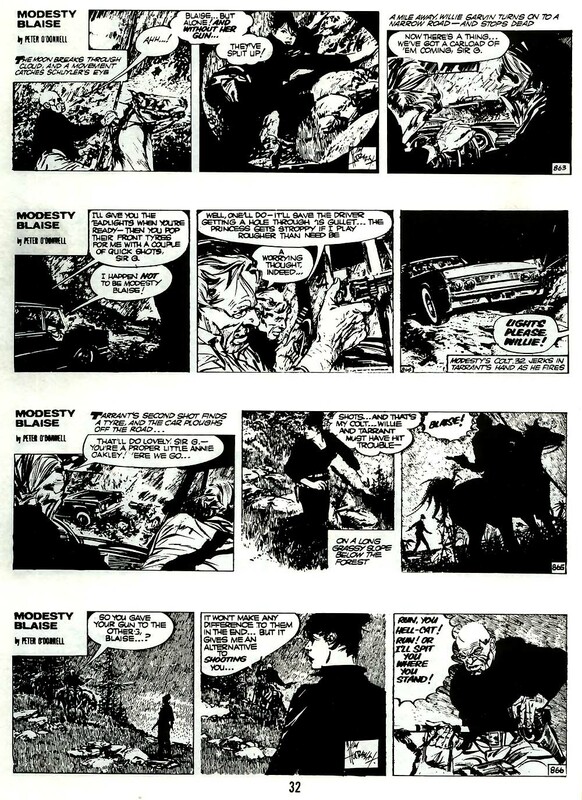 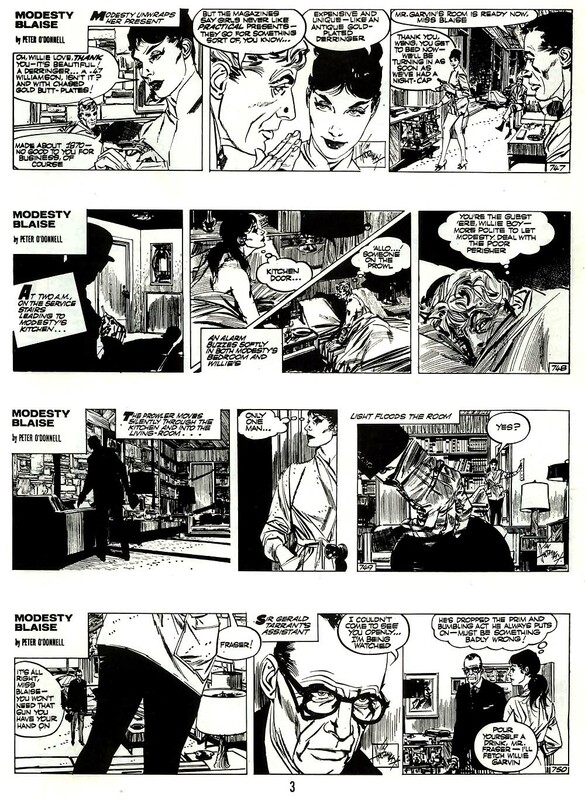 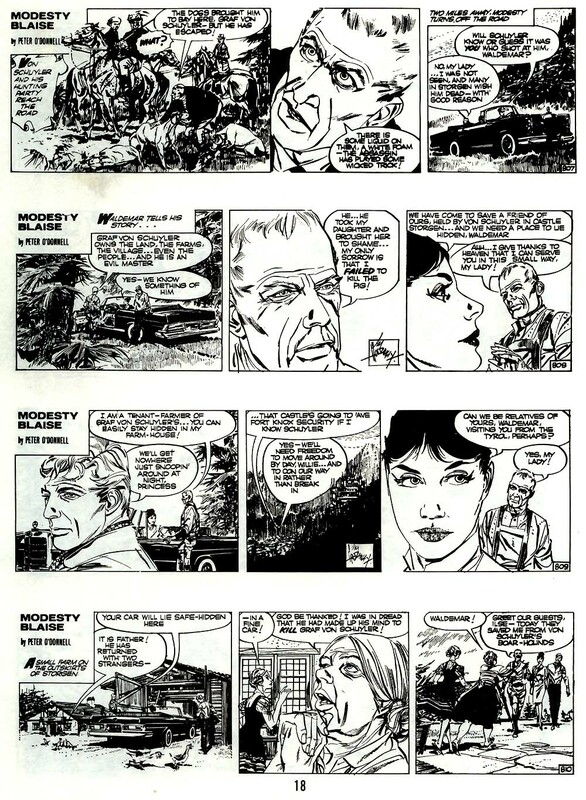 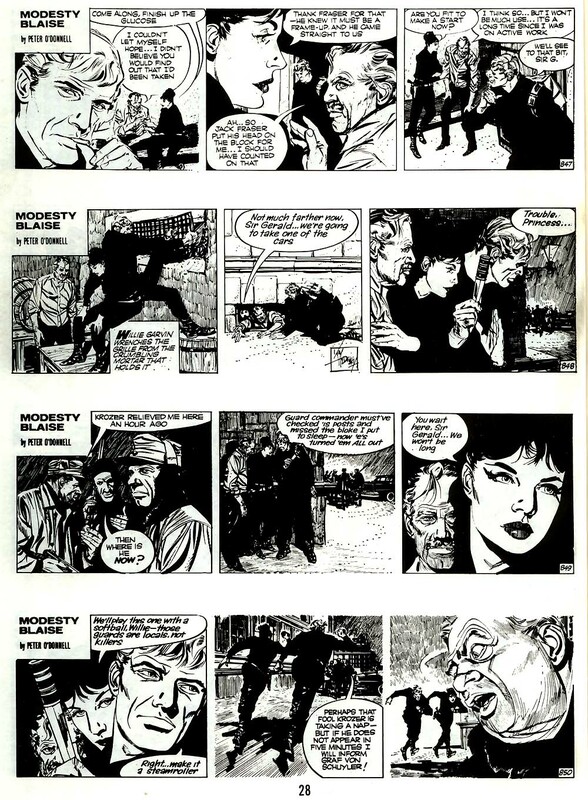 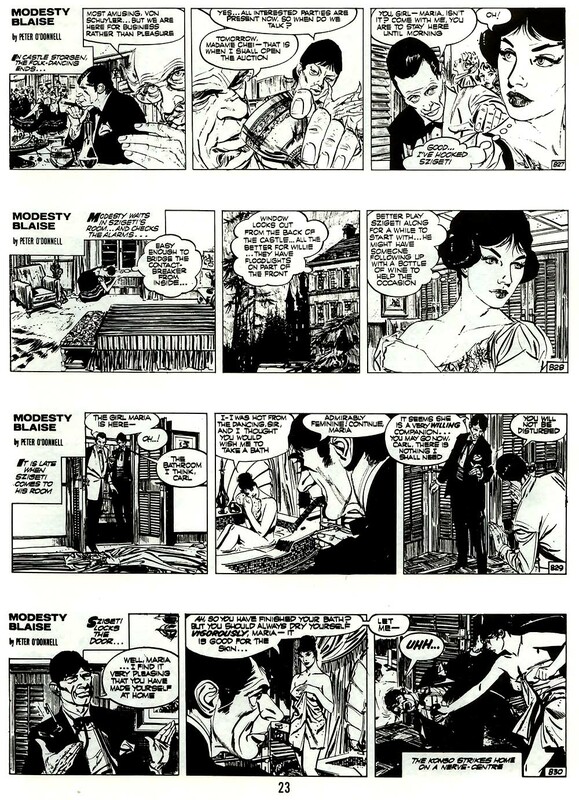 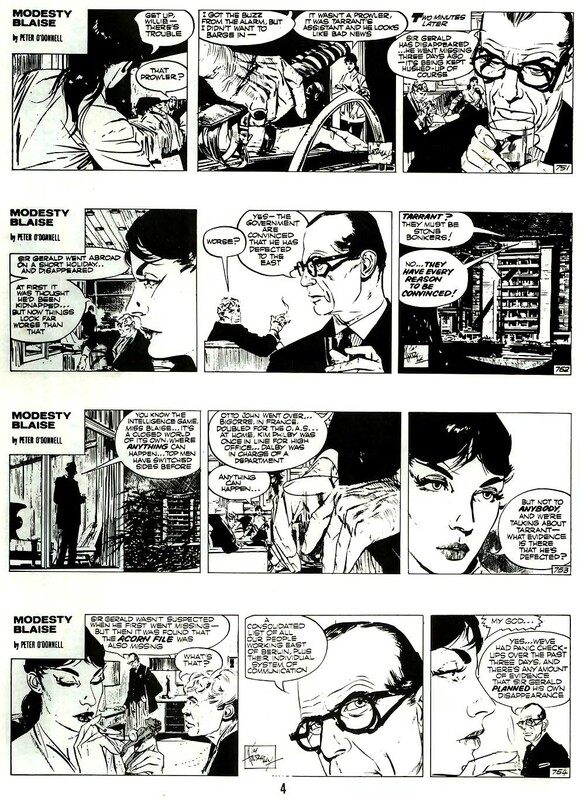 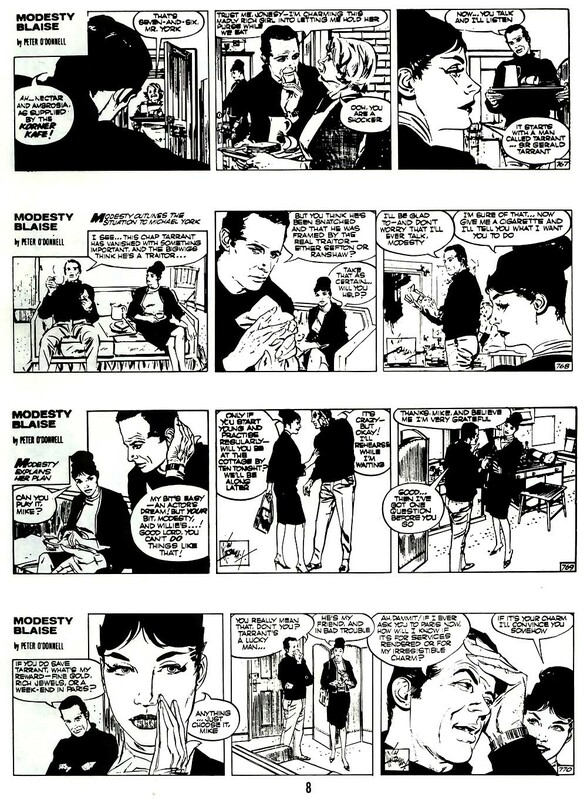 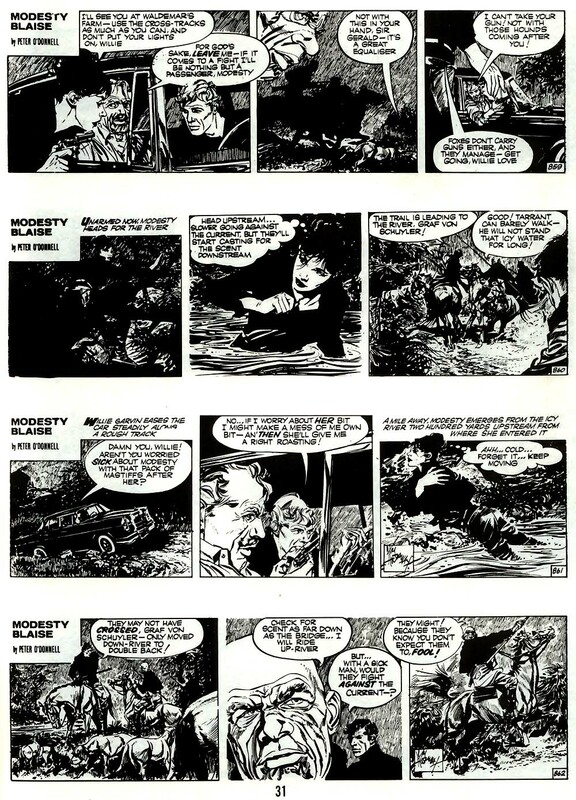 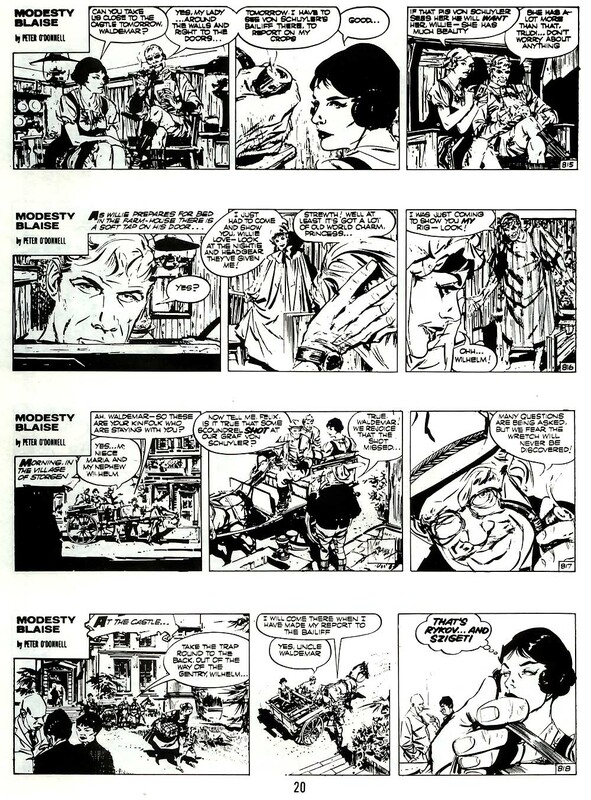 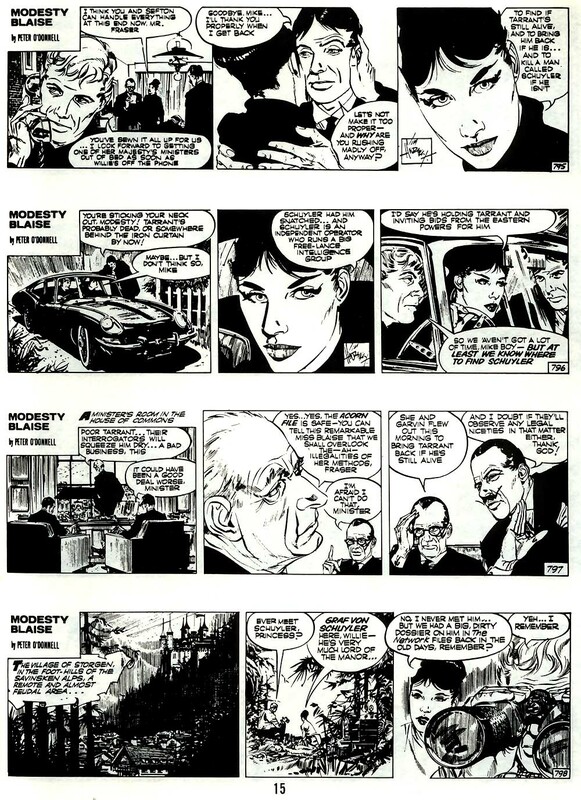 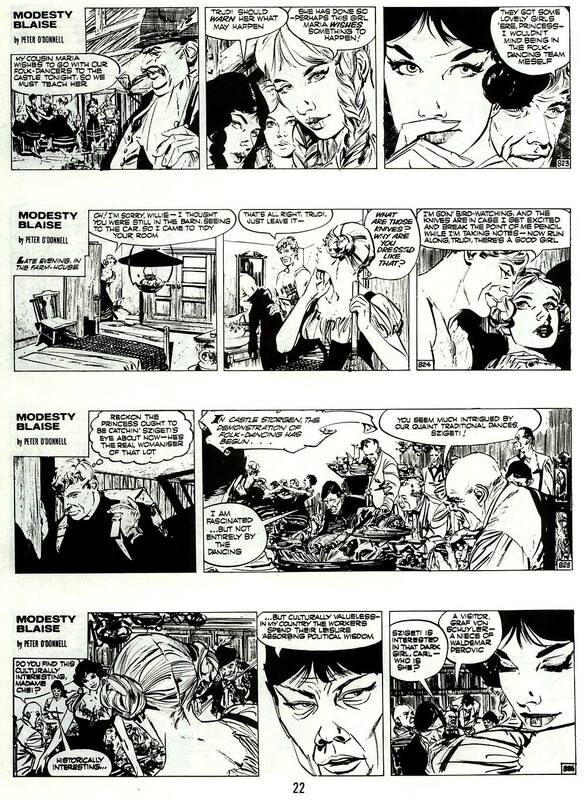 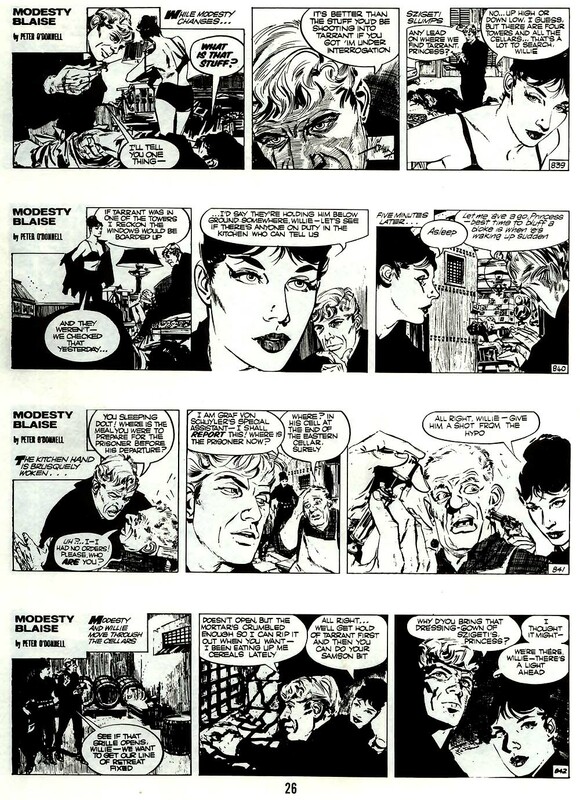 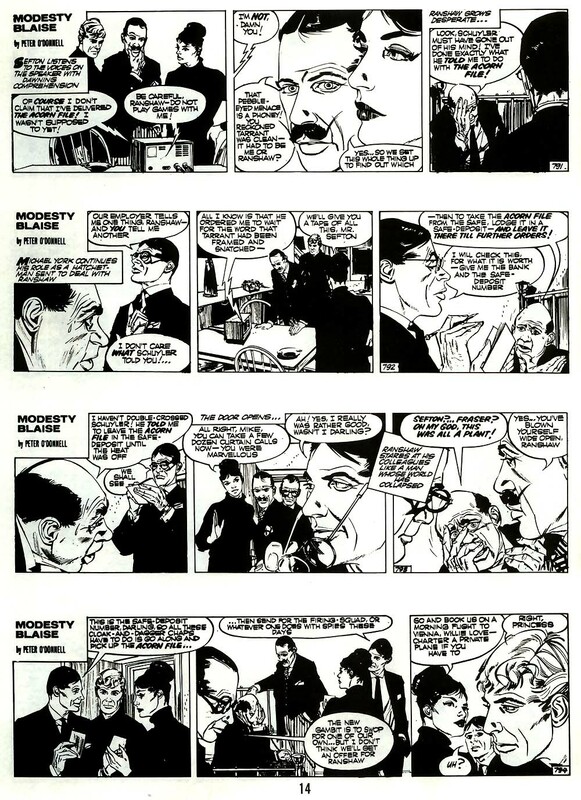 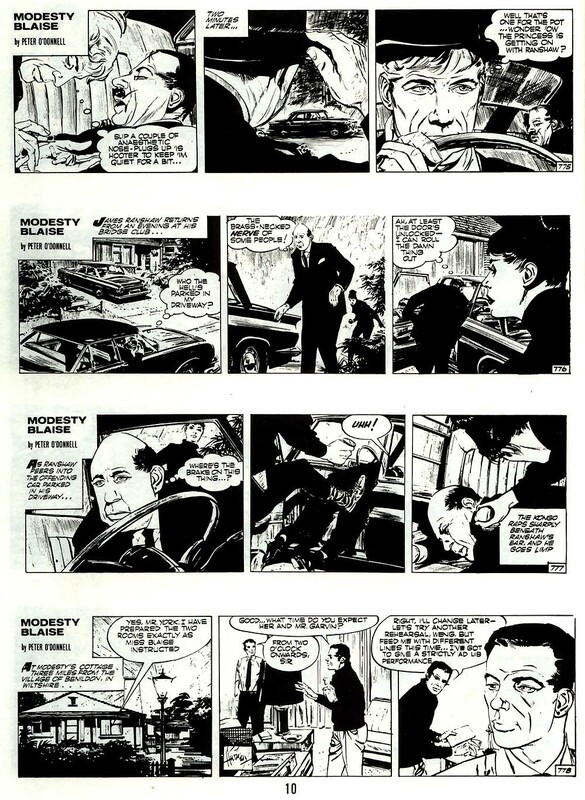 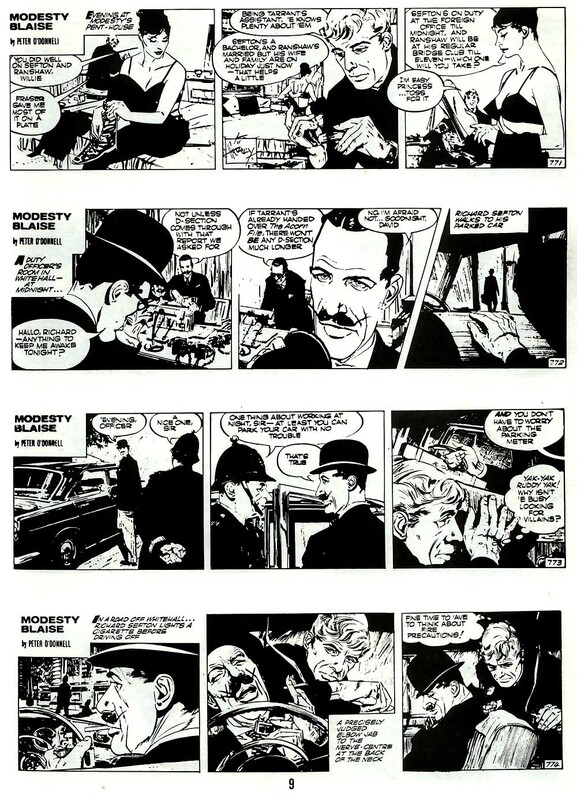 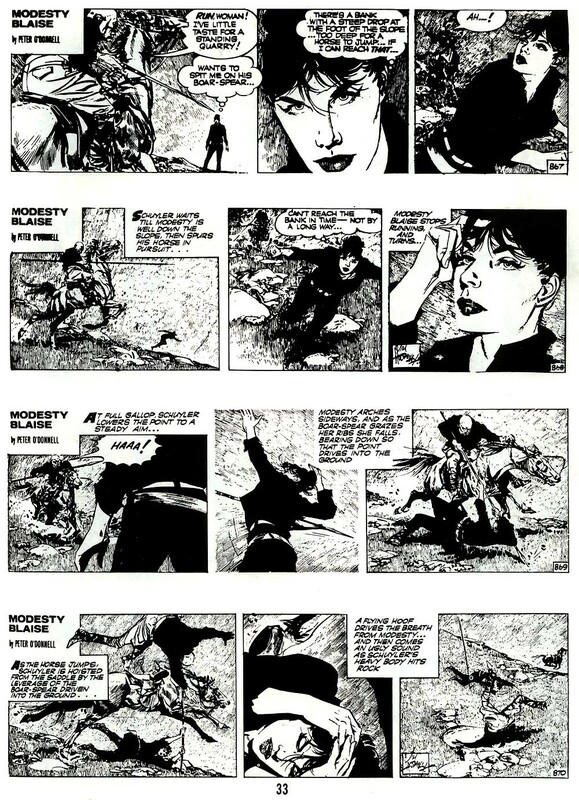 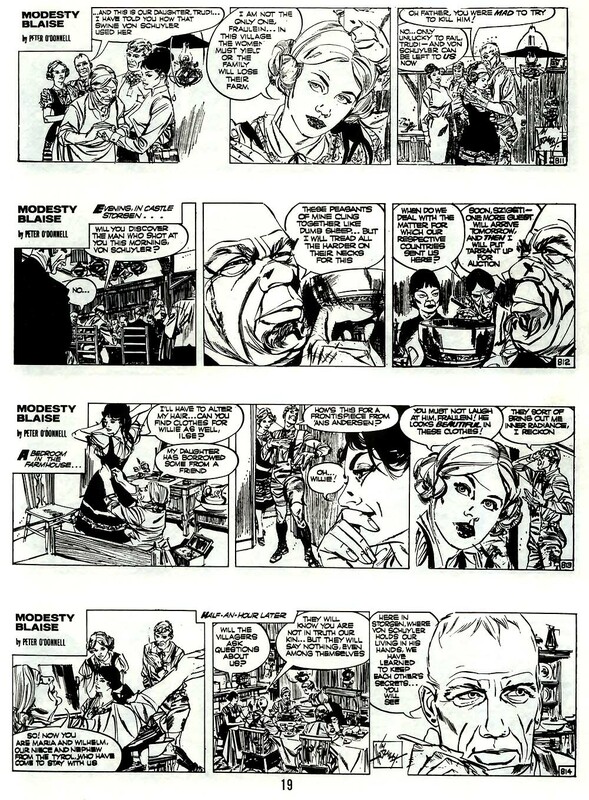 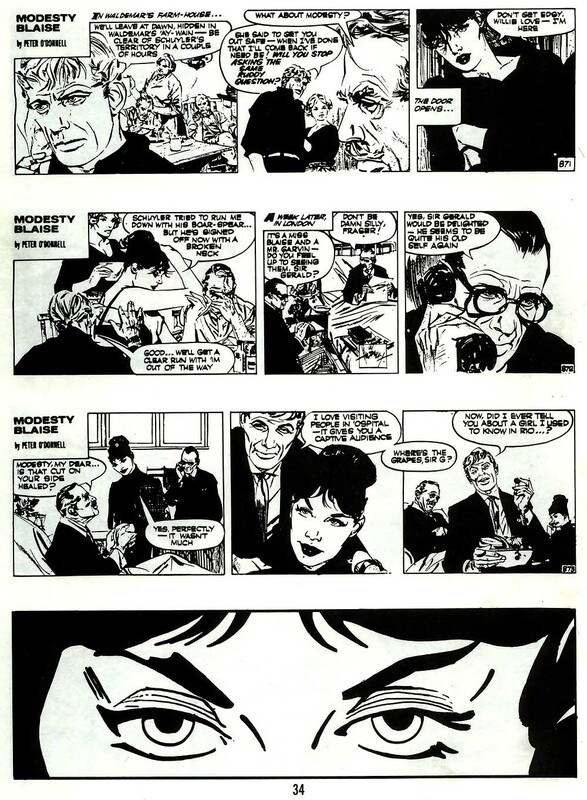 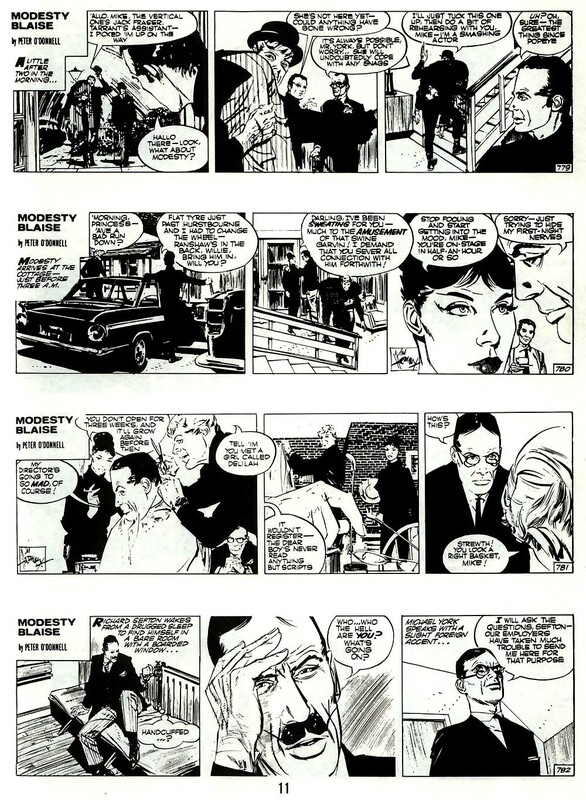 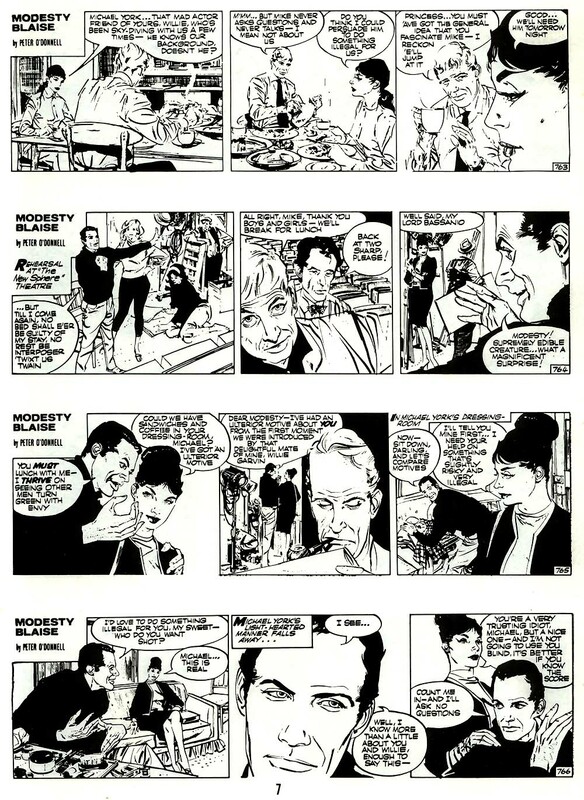 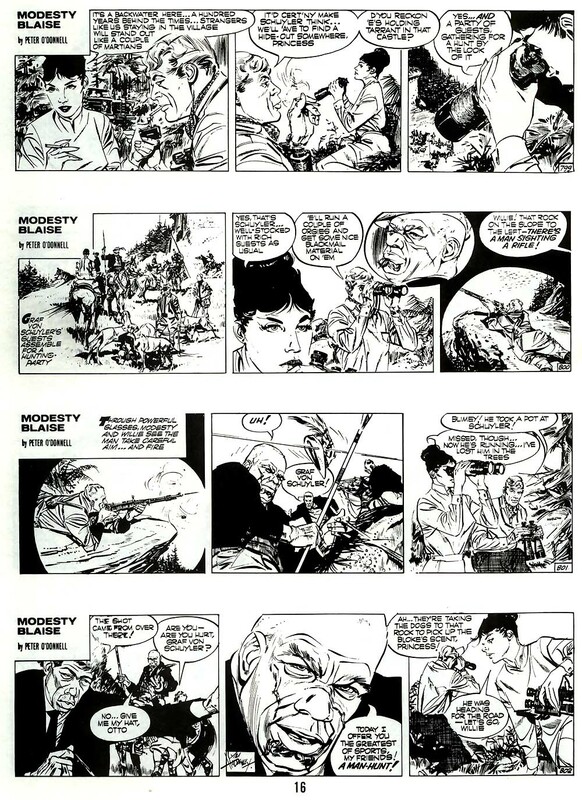 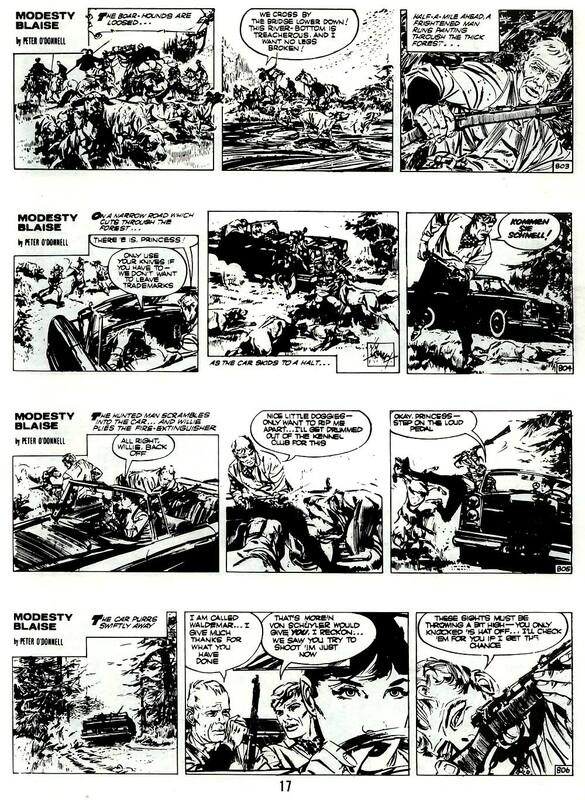 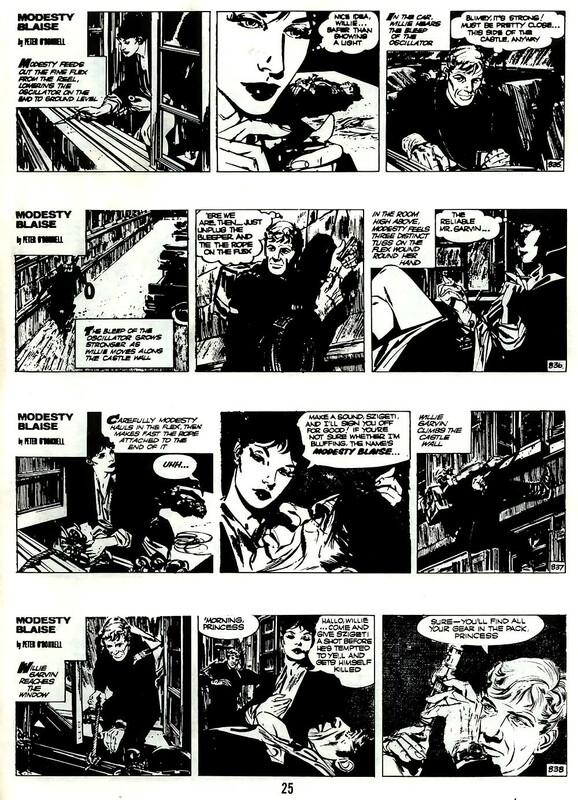 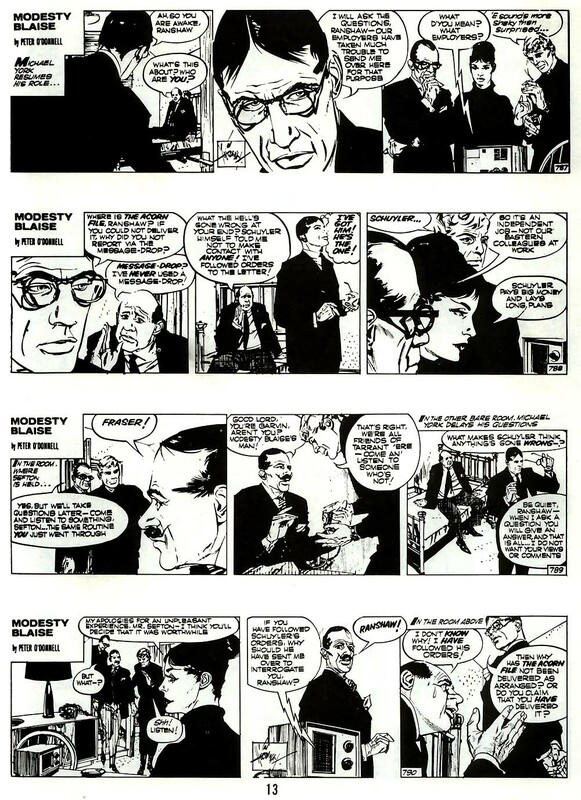 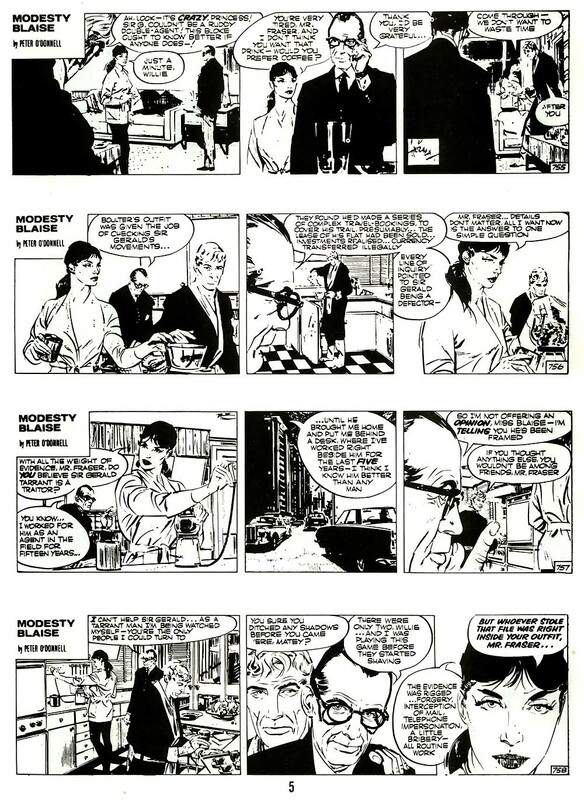 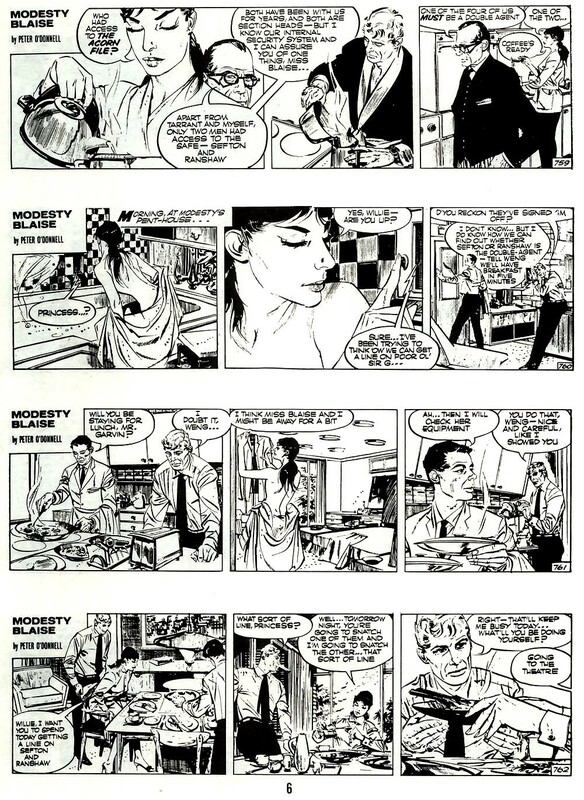 MODESTY BLAISE by Peter O'Donnell and Jim Holdaway. 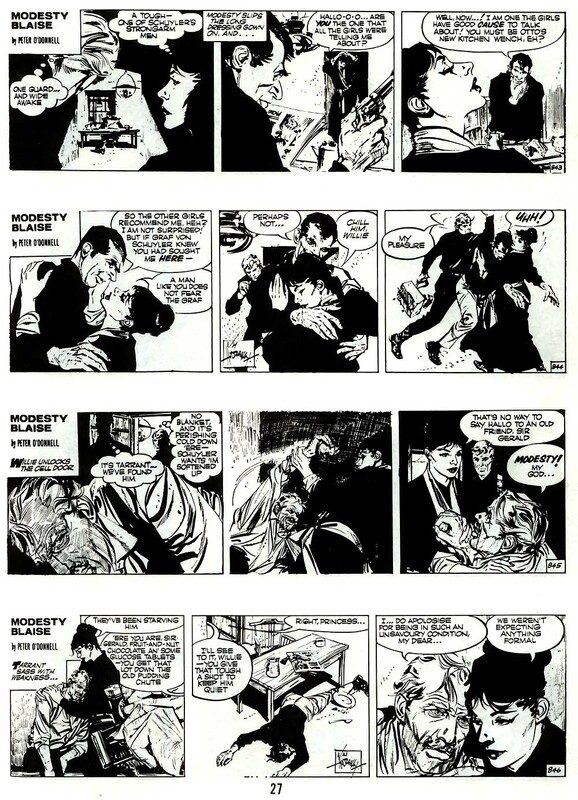 This sequence appeared in newspapers September 20, 1965 to February 19, 1966. 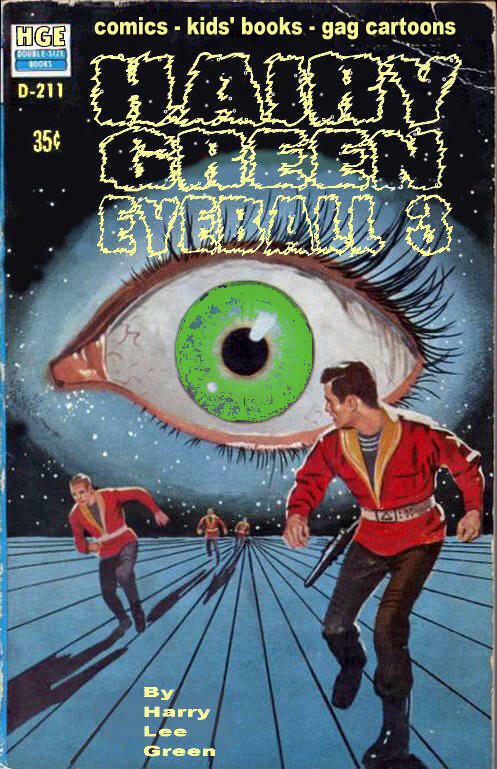 Got my eye on you.